Founded in the last phase of the wars of dispossession in 1855, the Healdtown vision is captured in the symbol of the eagle that continues to watch over the recently renovated “Eagle Building” and in the scriptural promise: “They will rise up with wings as eagles”. At the heart of the Healdtown story is the complex relationship between the struggle for quality education and a commitment to political resistance. The Xhosa cattle killing in 1856 plunged the area into crisis within a year of the founding of the school. In 1956, exactly a hundred years later, the Healdtown governing body was forced to hand over control of the school to the Department of Bantu Education. This resulted in the imposition of the kind of education at Healdtown and other mission schools that was in complete contrast to the quality education they had earlier endeavoured to provide. Ten years later the school was taken over by the Ciskei government and later renamed Ilanga High School. In 1976 the students rose in rebellion and burned down fourteen classrooms and other buildings – making it one of the first schools, outside Soweto, to join the student uprising that swept the country.In 1994, shortly after the country’s first democratic elections, the school was reopened as the Healdtown Comprehensive School and the first phase of educational renewal and the restoration of buildings began, with the establishment of a Board of Trustees and the support of the Independent Development Trust (IDT). The eagle, albeit with damaged wings, was beginning to rise again. Healdtown initially started as a school to train evangelists, but it also provided basic education for the children of the amaFengu (“a people in search of land”), in response to the westward migration of people at the time, commonly known as the Mfecane or Dificane. With the support of the colonial government an industrial school was opened to train people as carpenters, blacksmiths, cobblers and in similar trades. Government support was, however, withdrawn a decade later and the industrial school was closed. It was at this time that James Heald, a member of the British Parliament and wealthy Methodist layman, contributed a sum of money to establish a training institute for ministers of the Methodist Church. The seminary was later transferred to Lesseyton and then to Fort Hare in 1917. Healdtown Institute, as it became known, developed into a leading educational institution, with a high school, a teacher training centre and a practising school. It also provided specialised training in domestic science and physical education. It was here that Nelson Mandela would learn to box! The school has produced several prominent leaders, including John Tengo Jabavu, a leading intellectual who became editor of Imvo Zabantsundu in 1884; Nelson Mandela, South Africa’s first democratically-elected President; Robert Sobukwe, the founder of the Pan-Africanist Congress; the Rivonia trialists, Govan Mbeki, Raymond Mhlaba and the Rev. Seth Mokitimi, a past governor of Healdtown and the first black president of the Methodist Church of Southern Africa. 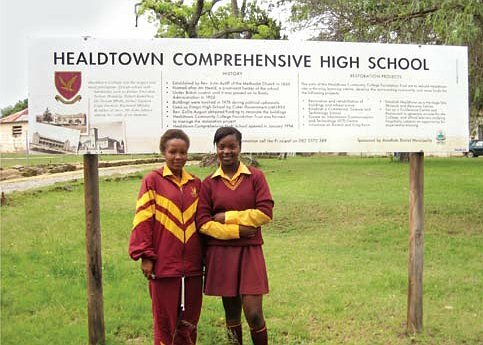 Healdtown once attracted learners from different parts of South Africa and neighbouring countries. Today, however, the school faces a new challenge. The total learner enrolment is 119, due to the depopulation of the immediate area surrounding the school as a result of local villagers relocating to larger towns in the vicinity. 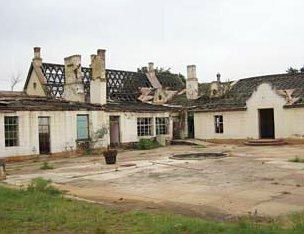 The hostels were destroyed in 1976 and have not been rebuilt. “This means our focus needs for the time being to be on the local community. We need to ask again what education and training means for this community at this time,” suggested Francois Kalp, the now-retired principal of the school. The School Governing Board, which includes representatives from each of the surrounding villages, and the Board of Trustees are now looking ahead to the restoration of the hostels and other buildings in pursuit of both a local and a wider outreach.